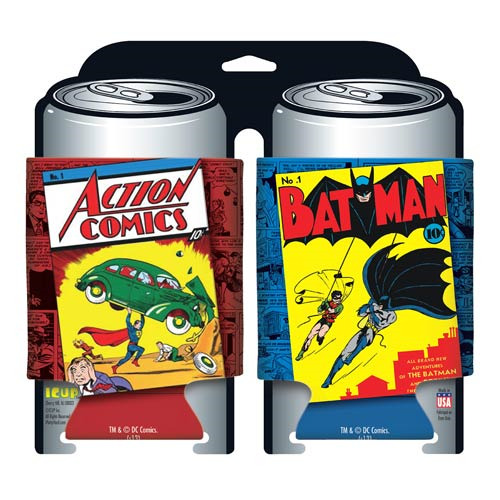 Keep your drink cool in awesome classic DC Comics style! This DC Comics 1st Issues Can Hugger 2-Pack features 2 can huggers, each with a different DC superhero theme. You'll get a can hugger from Superman's debut in Action Comics #1 along with the debut of Batman and Robin in Batman #1!